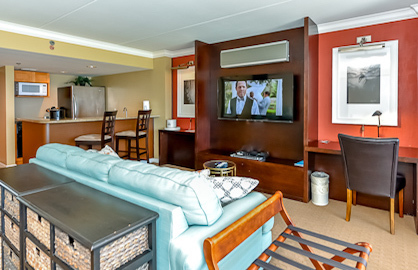 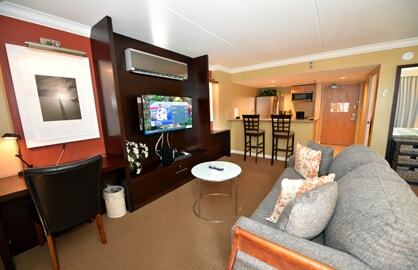 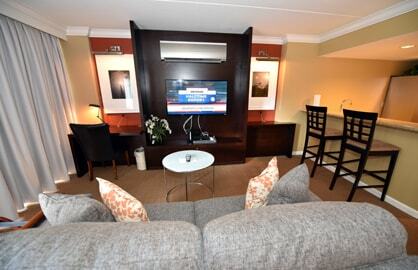 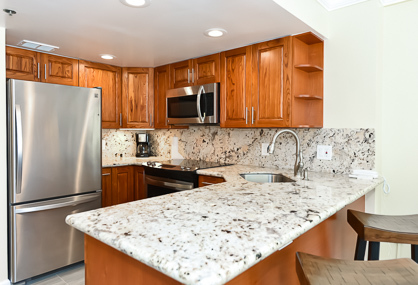 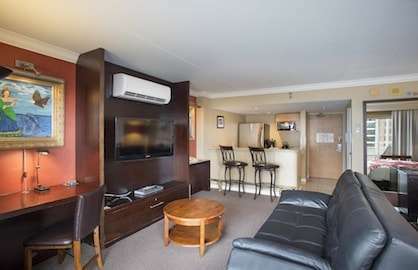 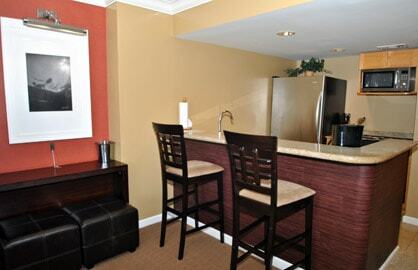 Recently completely remodeled to high standards, this luxury unit has everything the travelling businessman, executives or couples would need. 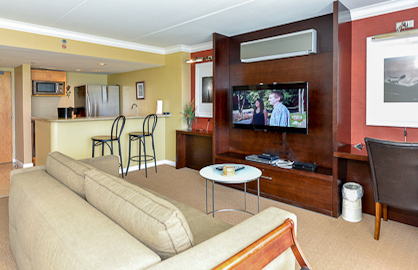 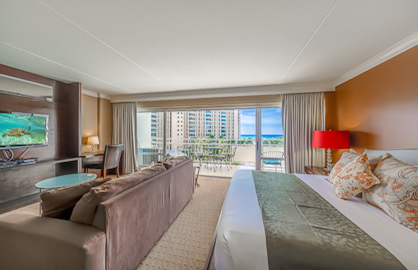 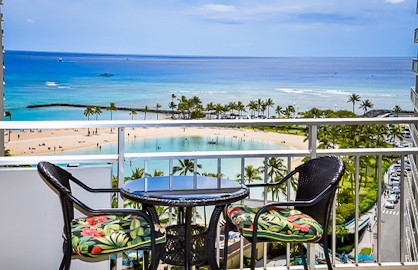 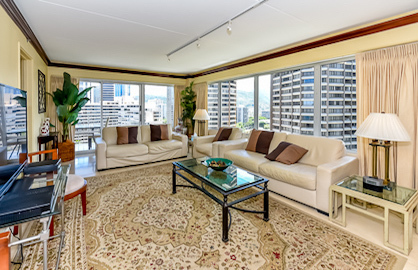 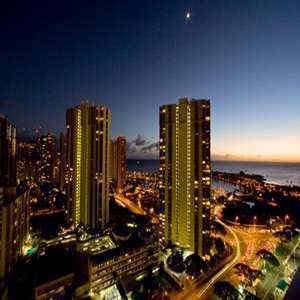 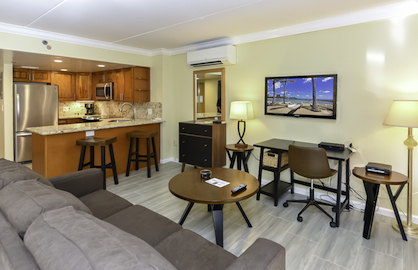 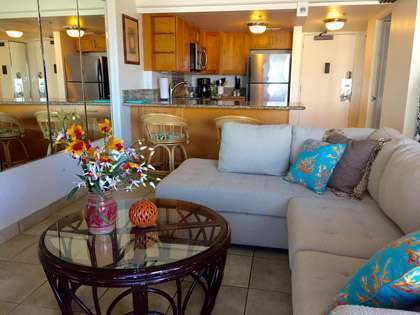 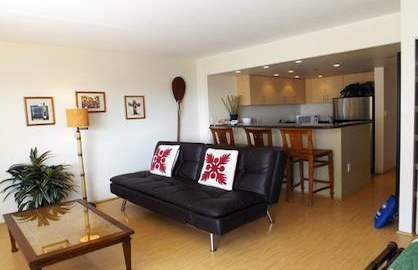 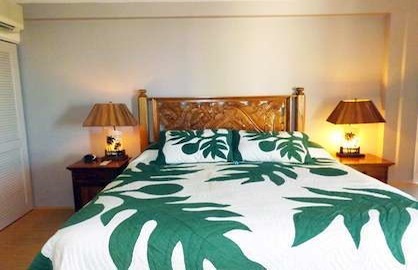 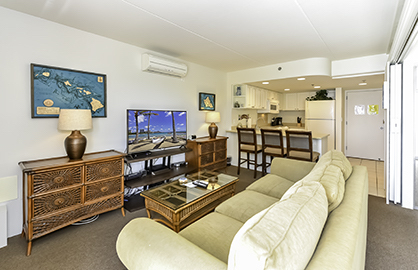 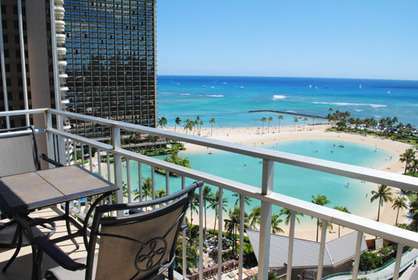 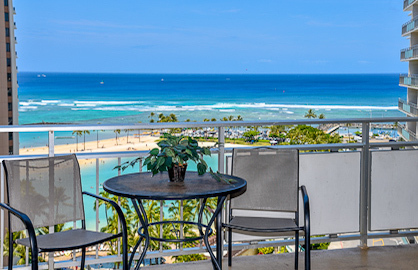 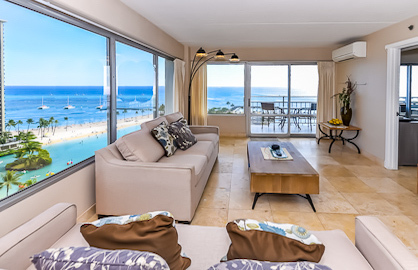 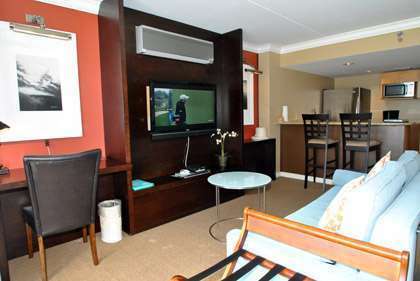 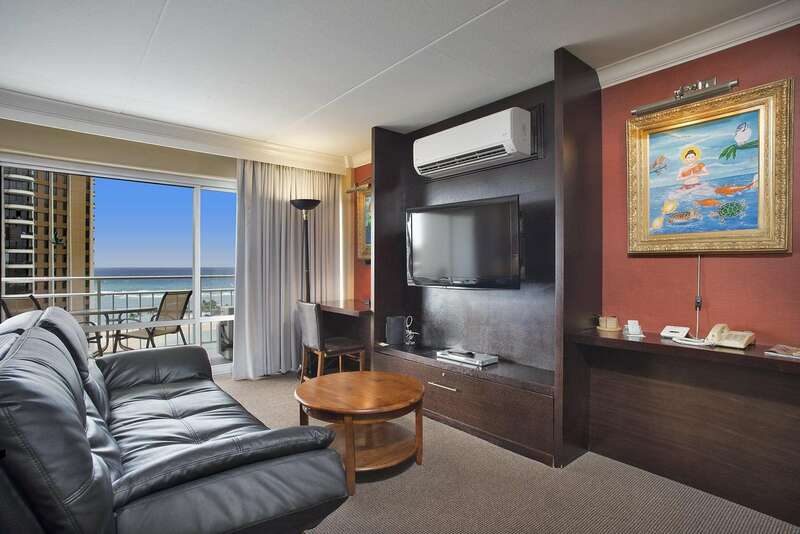 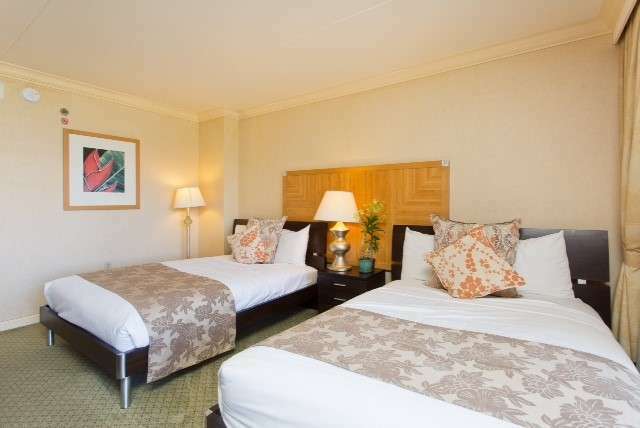 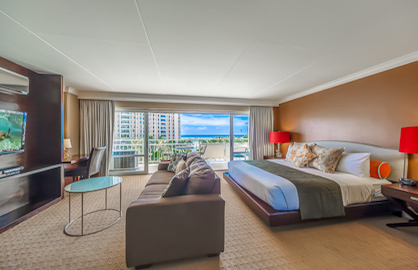 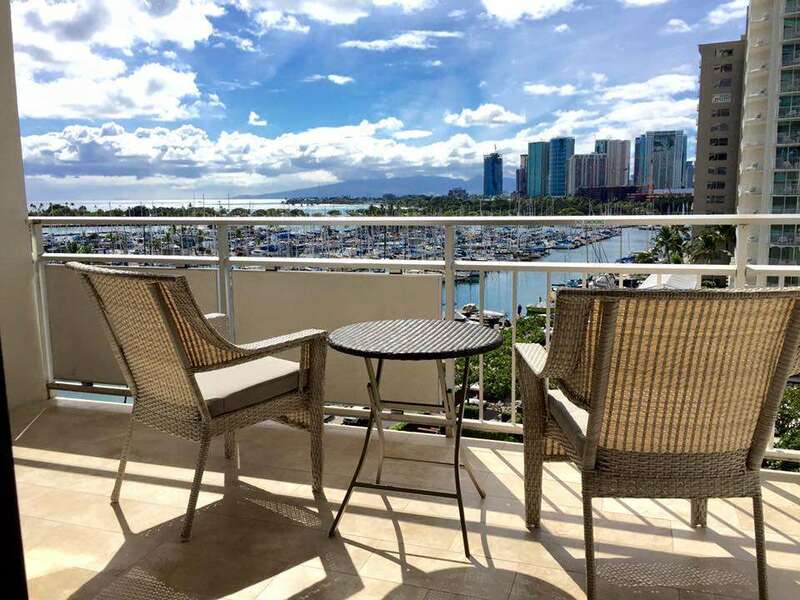 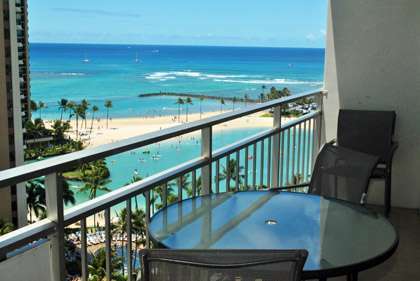 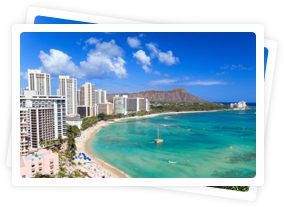 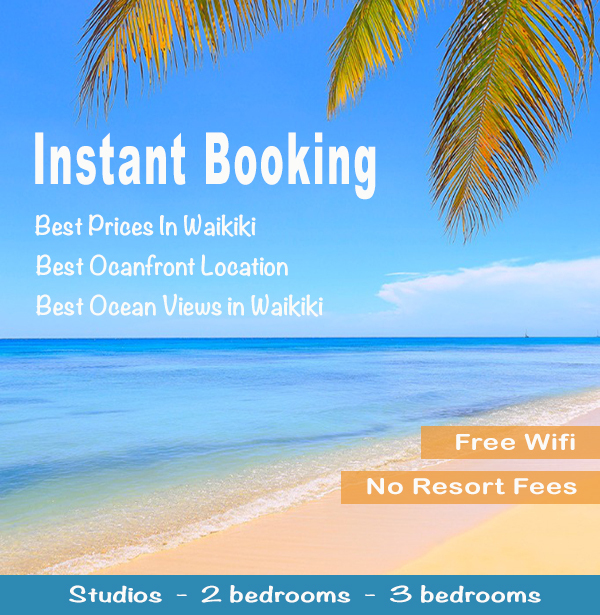 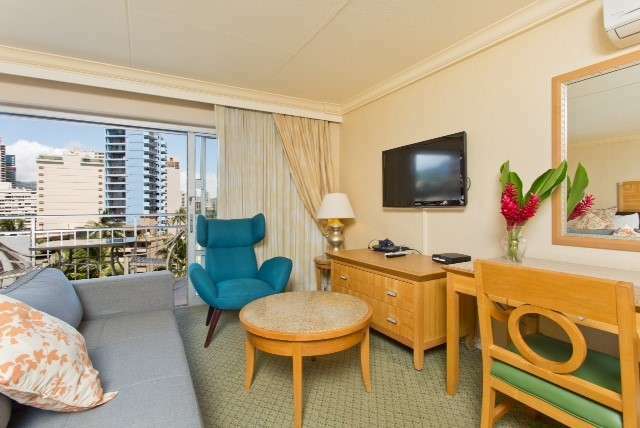 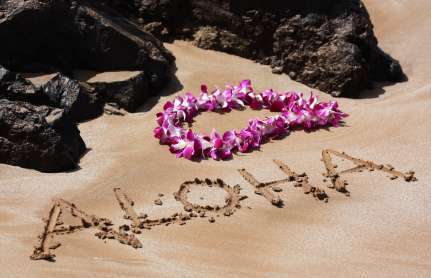 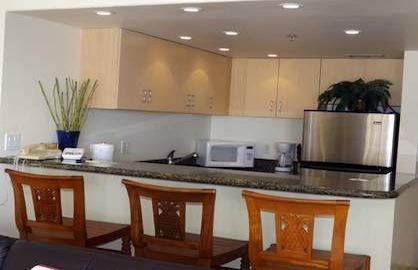 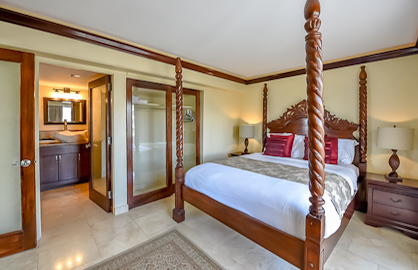 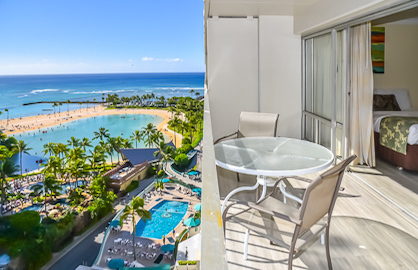 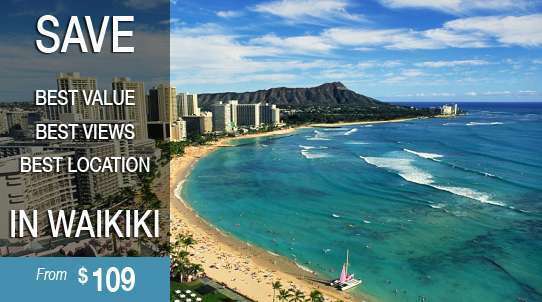 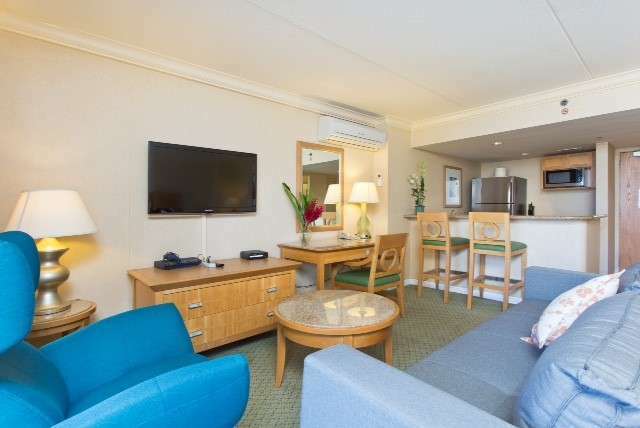 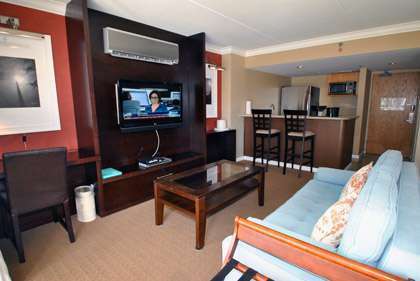 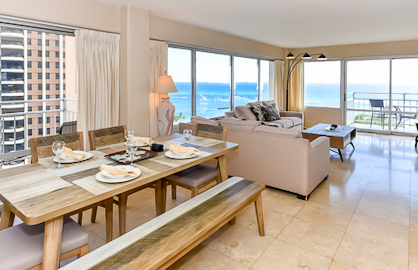 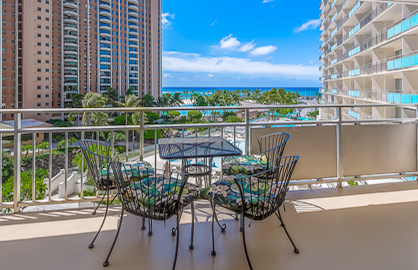 This unit has a comfortable king bed, free wireless work desk and a comfortable lanai to watch the surfers and swimmers at world famous Waikiki Beach. 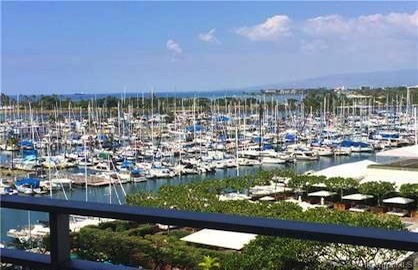 This beautiful 2 bedroom Ocean/Marina view condo was completely remodeled recently and has elegant new furniture and decorations throughout the condo. 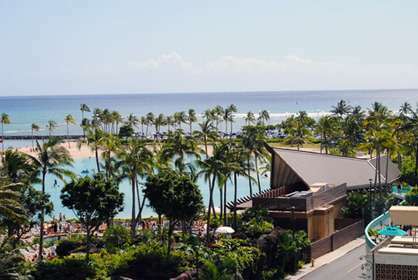 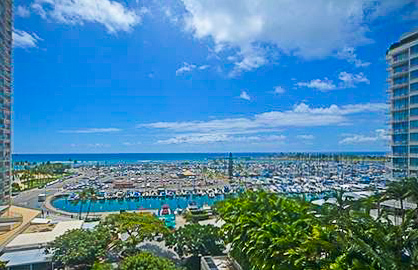 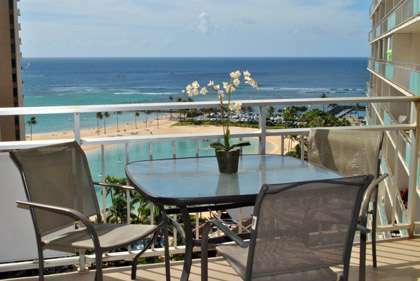 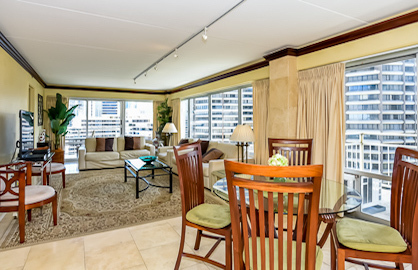 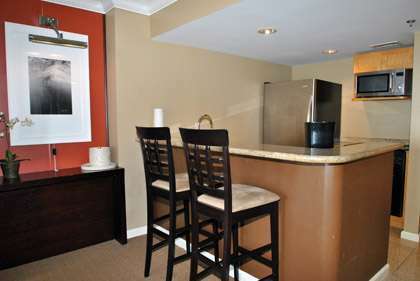 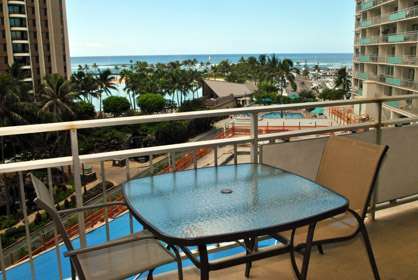 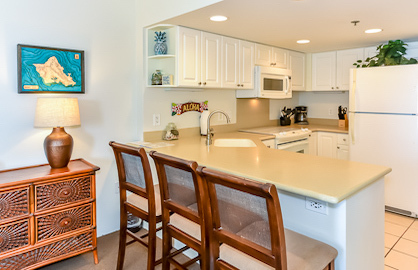 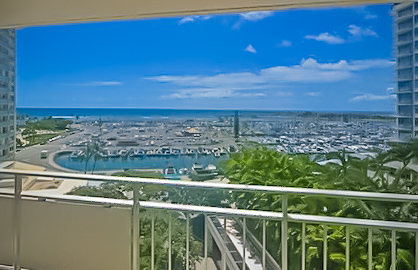 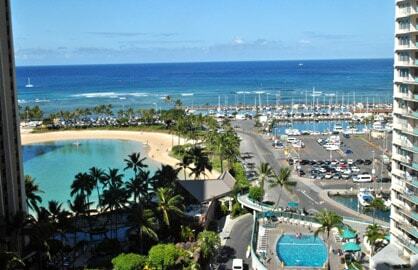 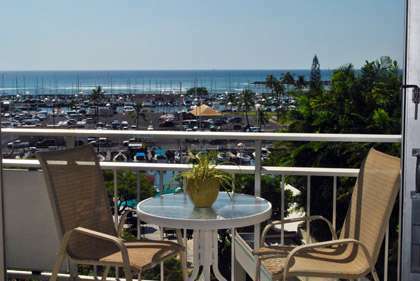 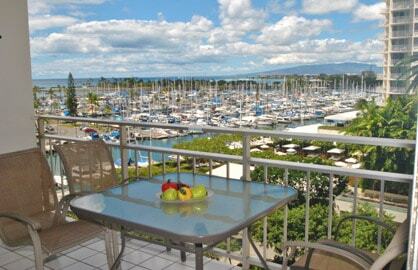 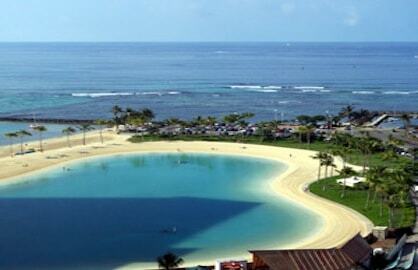 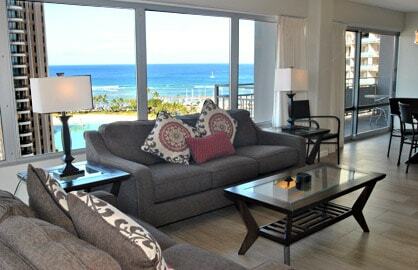 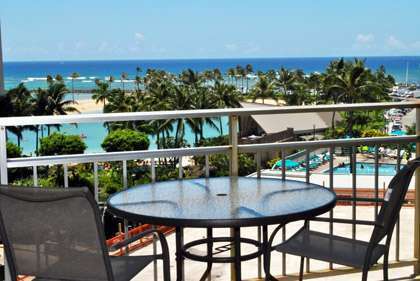 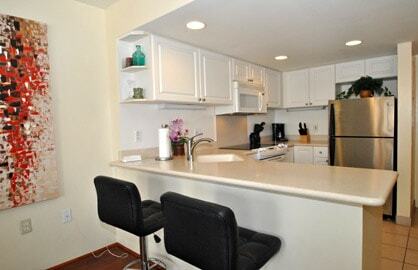 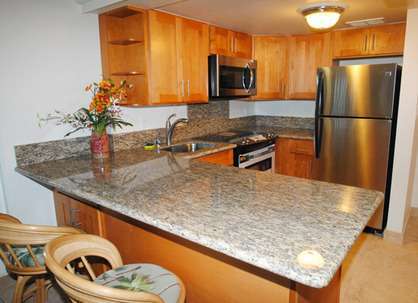 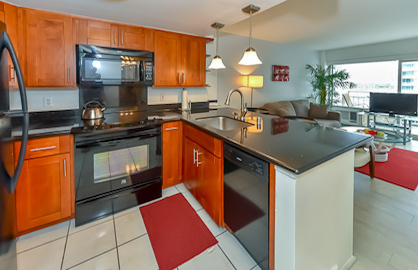 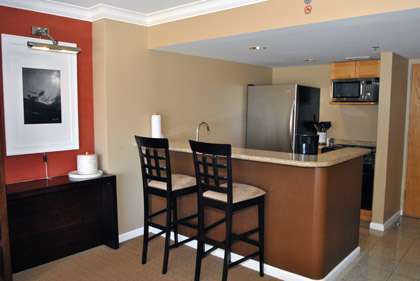 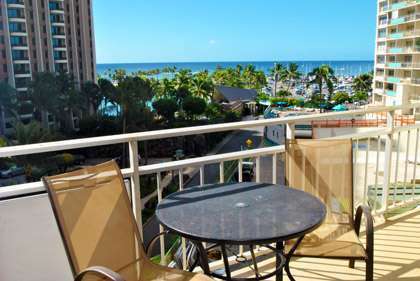 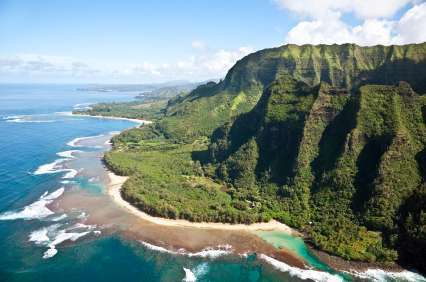 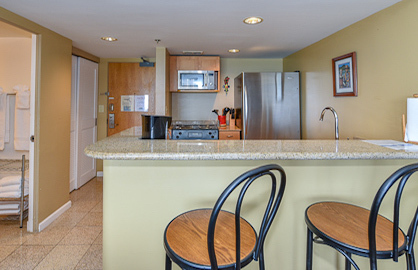 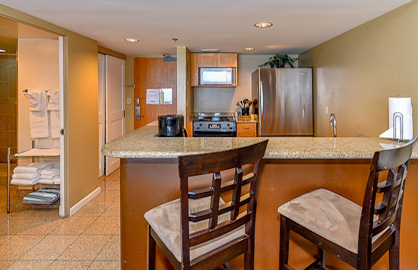 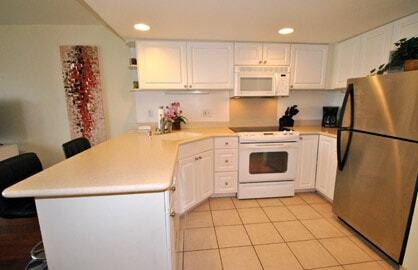 This amazing 1000sf 2 bedroom, 2 bath condo with 240sf of lanai's has awesome ocean views. 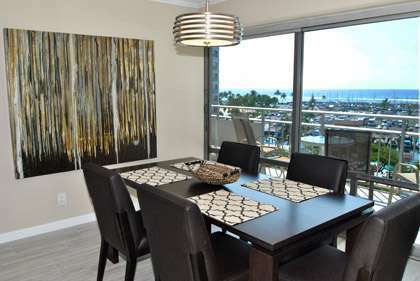 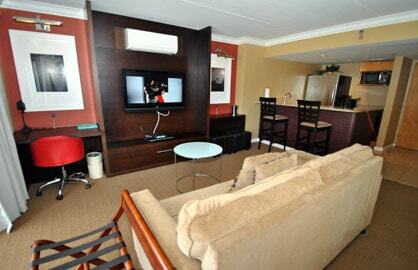 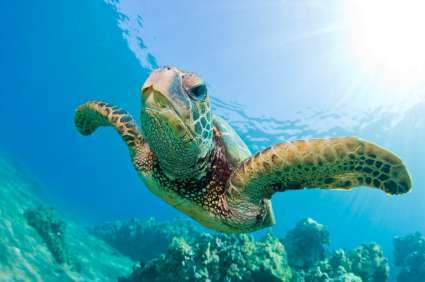 Newest 2 bedroom Ocean Condo! 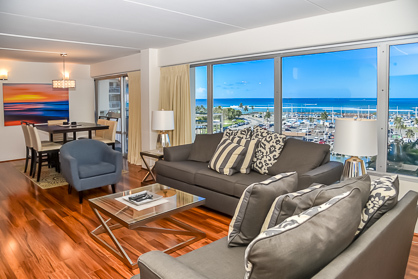 This awesome 2 bedroom, 2 bath, 1000sf luxury condo with two separate balconies has just completed a total beautiful remodel, December 2015. 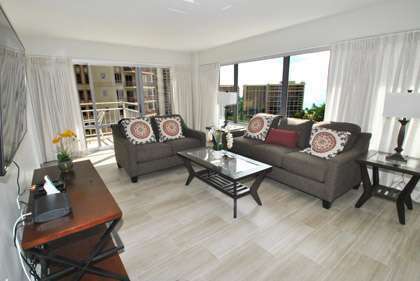 The condo is completely new from the studs out. 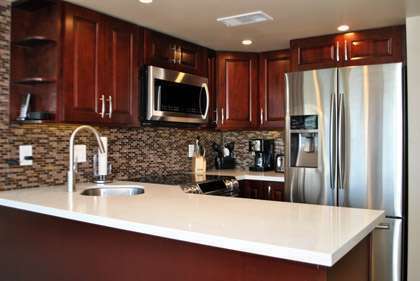 All new custom tile flooring throughout so easy to keep clean, new modern open kitchen and breakfast bar, new elegant bathrooms, proper two large bedrooms.